Schooled by frequent moves, military spouses become adept at creating community for themselves, whether virtually or in person. Navy wife and author Andria Williams, a self-described “reading machine,” finds connection through literature. Using that favored medium to link with fellow military spouses, Andria created the Military Spouse Book Review, a blog featuring book reviews by military-connected women. Some of the titles reviewed also have a military connection, but all books are fair game, from mystery to memoir, self-help to poetry. Both fiction and nonfiction are included. A clickable index makes the posts easy to navigate and to choose by genre, author, book title or topic. 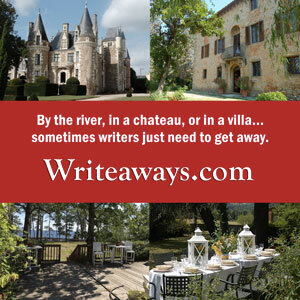 Links to authors and literary blogs are included as well. The reviews and author profiles are intermingled with Andria’s well-crafted, often humorous posts and photos depicting her writing life amidst deployment, military moves, and parenting. Perhaps that should read: Parenting, deployment, military moves, and somehow carving out time to write. 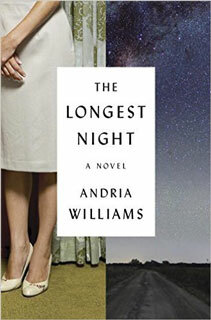 Her first novel, The Longest Night, is due out in January 2016 from Random House. The story, which begins in 1959, is about fictional Army wives whose husbands work at a nuclear reactor. The plot revolves around an actual nuclear incident, which occurred in 1961. To complete the novel, Andria got up each morning at 4:30 so she could write for two hours before her children woke up. When she began working on the book, she had two small children. After giving birth to her third child, Andria took six days off, then on the seventh day began writing again—every day. Andria finished writing her novel and, in early 2014, signed with an agent. But with her drive to write and create, she needed another literary outlet while looking for a publisher, so she created Military Spouse Book Review. Another deployment for her husband was also on the horizon, so she decided to gear the blog toward military spouses, as well as books. She soon decided the best way to keep the blog fresh was to enlist other readers and writers to review books as well as writing some herself. Contributors to her blog are all connected to military life in some way—wives, active duty, moms and daughters—but the books come from every genre. Some are about military life, but many are not. 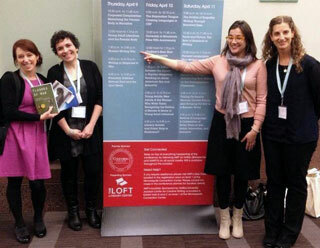 Military-connected writers Katey Schultz, Siobhan Fallon, Andria Williams, and Sarah Colby connected in person at the AWP Conference in Minneapolis in April 2015. Siobhan Fallon, an army wife and author of You Know When The Men Are Gone, says Andria’s blog fosters critical thinking alongside connection and friendship. Andria says the blog “opened a whole new world,” introducing her to other writers in the military community, because they were the ones most likely to contribute reviews. “I’d envisioned the blog for readers—and it is—but I didn’t take into account that the average person doesn’t write book reviews for fun,” she says, laughing. “Coming out of the cocoon of having had three kids in six years, I hadn’t spent enough time looking for other authors,” she says, “But a lot of female veterans and military spouse writers have been communicating with each other for a long time. Their generosity—sharing people’s names, information, ways to connect, resources, publications to write for—was really overwhelming. 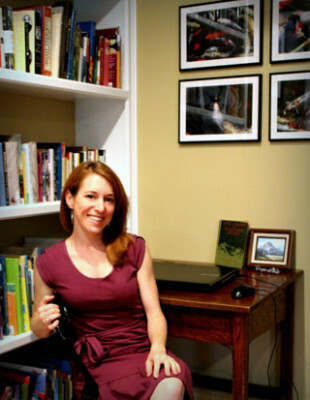 Army wife and writer Angela Ricketts, author of No Man’s War: Irreverent Confessions of an Infantry Wife, agrees that literature ignites conversation. Whether discussing the war front or the home front, having a place to connect is important for Andria and other military women, who might meet at one assignment only to be separated a year or so later. Connecting via the Internet works with long distance friends as well as a busy schedule. 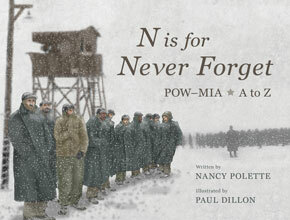 “Andria’s blog is built on the idea that the written word can create empathy—connections among people who might share nothing else in common,” says Alison Buckholtz, navy wife and author of Standing By: The Making of an American Military Family in a Time of War. For Andria, her online friendships with other writers led her to attend a literary event, the Association of Writers & Writing Programs conference in Minneapolis, earlier this year, where she was invited to speak about the role of military spouse writers in America’s most recent wars. 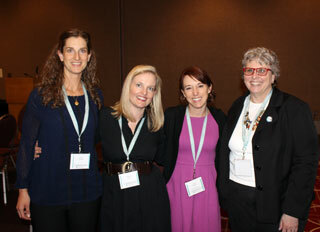 Panelists Andria Williams, Jehanne Dubrow, Emily Gray Tedrowe, and Katey Schultz spoke about Women Writing War at the AWP Conference in Minneapolis. Other panelists included novelist Emily Gray Tedrowe (Blue Stars), poet and Navy wife Jehanne Dubrow (Stateside: Poems), and short-story writer Katey Shultz, (Flashes of War). Meeting these writers and many others in person would not have happened without the connections that began with Military Spouse Book Review, Andria says. She had been corresponding with fellow mil-spouse writer Siobhan Fallon and the two met face-to-face for the first time at the AWP conference. While Andria says the Military Spouse Book Review has created these connections, Siobhan credits Andria’s dedication to her craft and to her fellow writers. “Here she is, a military spouse, mother of three, novelist, blogger, and yet she finds time to constantly give credit to and spread the word about fellow military spouse or veteran writers,” says Siobhan. Andria brings it all back to her love of books and their ability to create relationships and strengthen communities. “If you like books, then we’ll find enough to talk about,” she says. Outstanding interview, ladies. Loved reading how Andria carves out her writing and reading life while raising three young children in a military family. I’m in awe of her talent and her drive. Great seeing your byline again, Terri!!! I reader your post on Military Wives. Thank you. As a navy veteran I appreciate the sacrifices military wives and families make while their spouses and parents are deployed. Thank you so much for reading and for your comment. I think you would probably enjoy Andria’s blog and some of the books featured there. Thank you for your service!